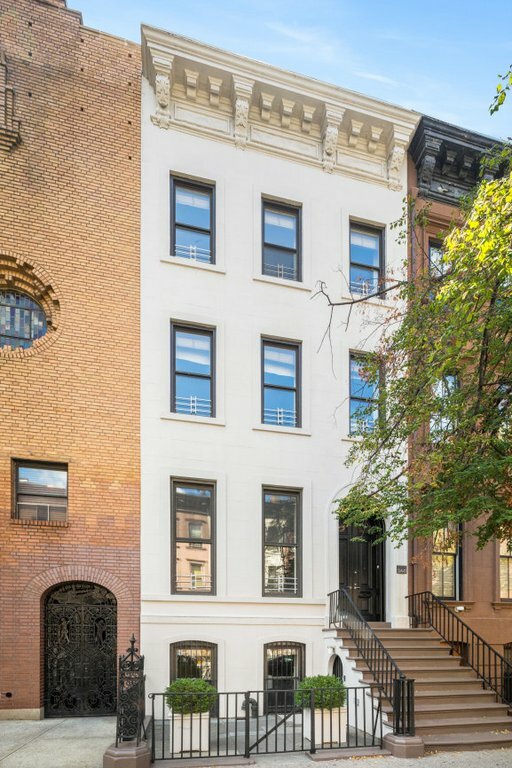 Presenting an exquisite four-story townhouse in the Treadwell Farm Historic District. 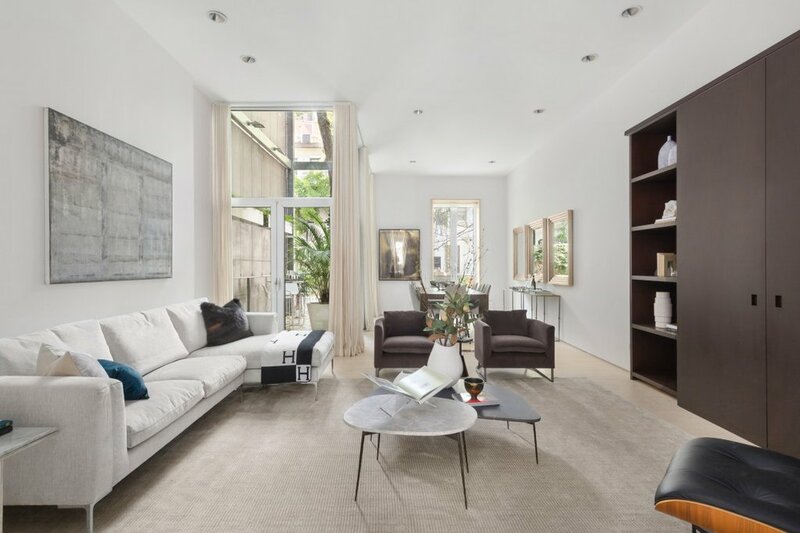 This gorgeous 20 FT wide home features 6 full bedrooms and 5 full and 2 half bathrooms. 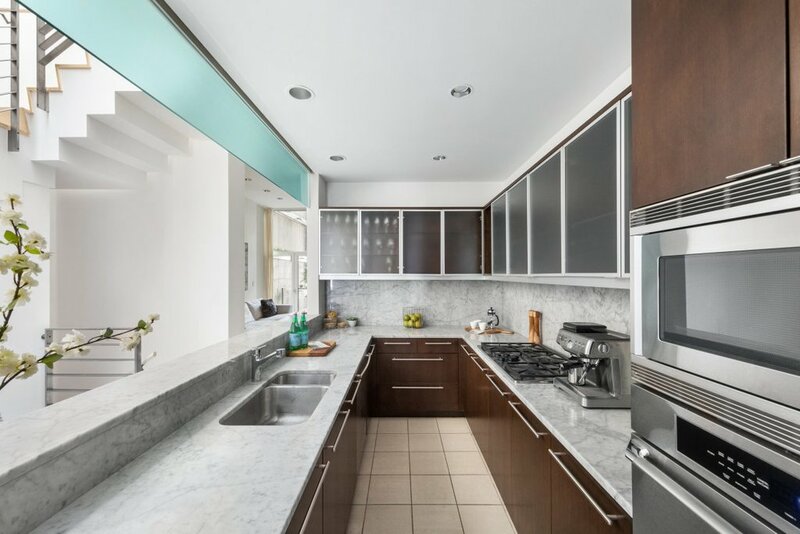 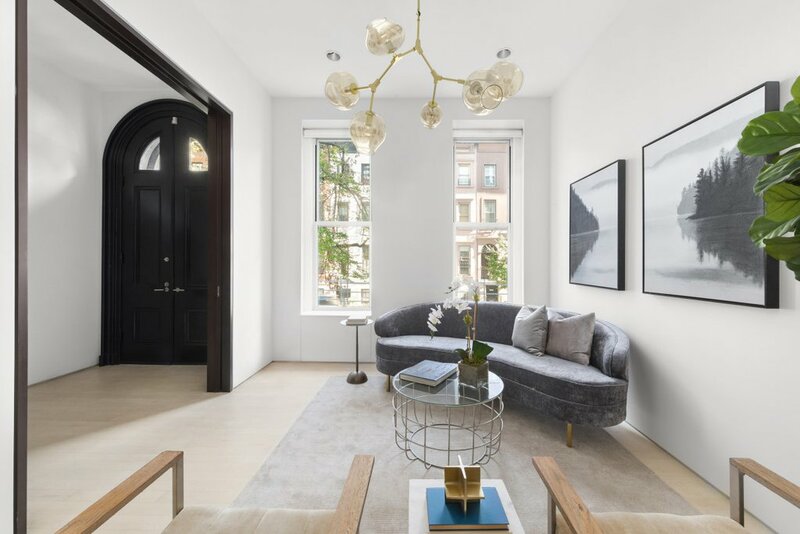 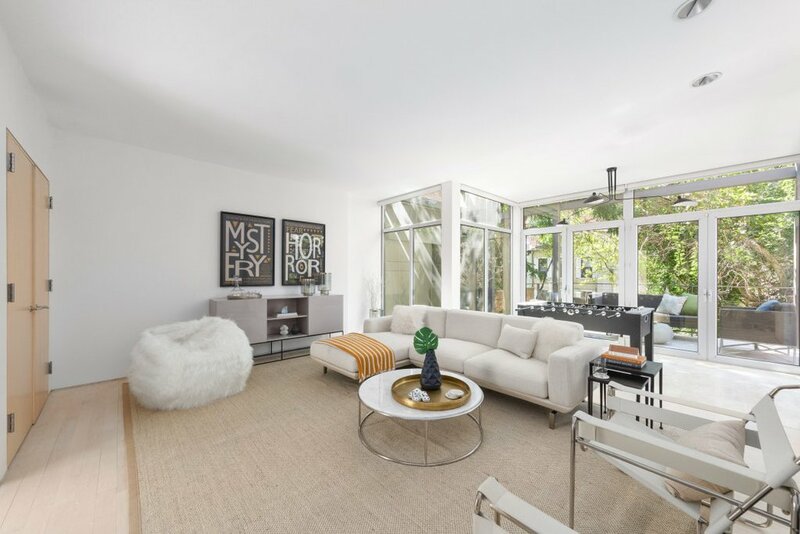 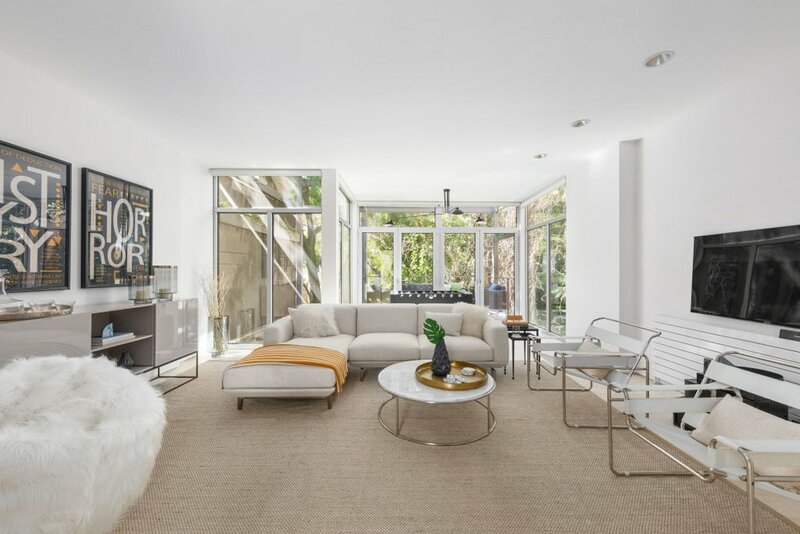 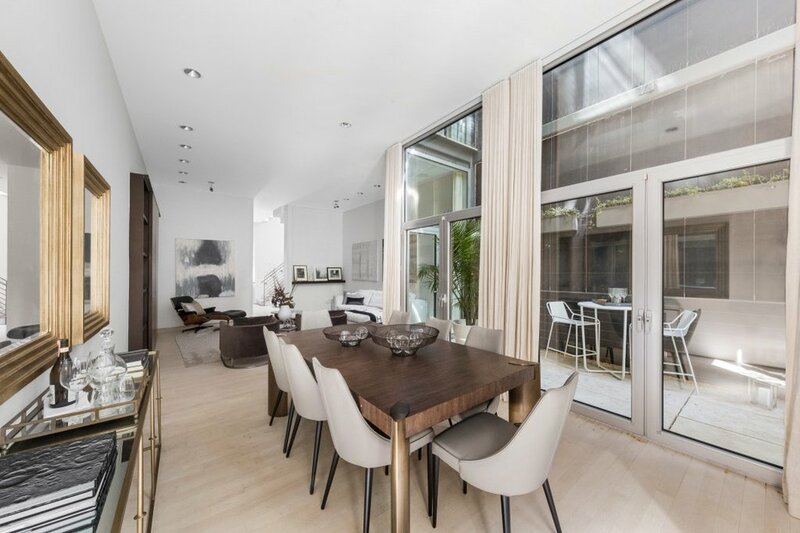 Designed by Wayne Turett of the Turett Collaborative, the home provides a sleek and contemporary design not typically seen on the Upper East Side. 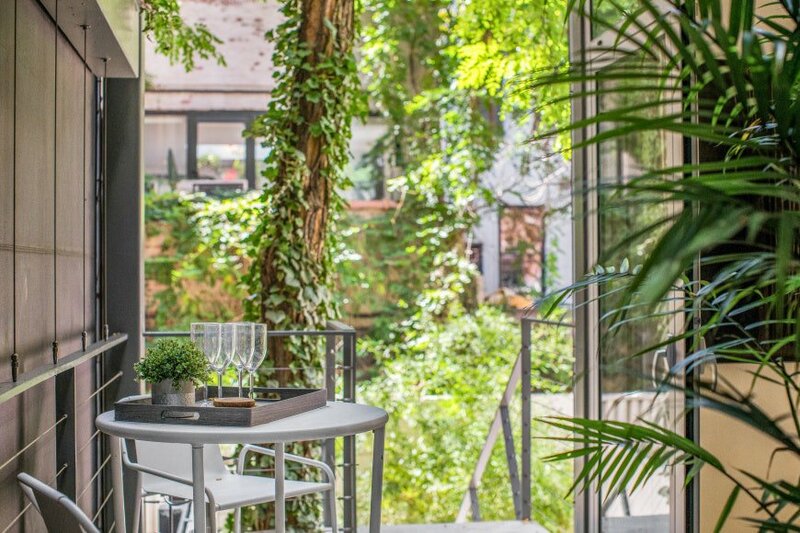 The rear wall facade is constructed of steel and glass, providing unique views of trees, city skyline and private gardens and filling the residence with an abundance of sun and natural light. 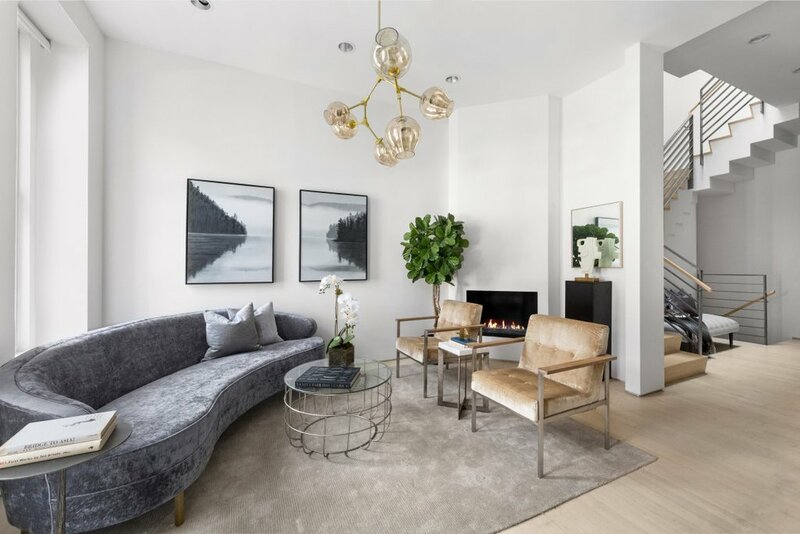 PARLOR FLOOR: This floor features high ceilings with 11'8 height throughout, allowing for a gracious, formal, entry foyer with a gas fireplace in diamond glass base providing a beautiful upscale setting. 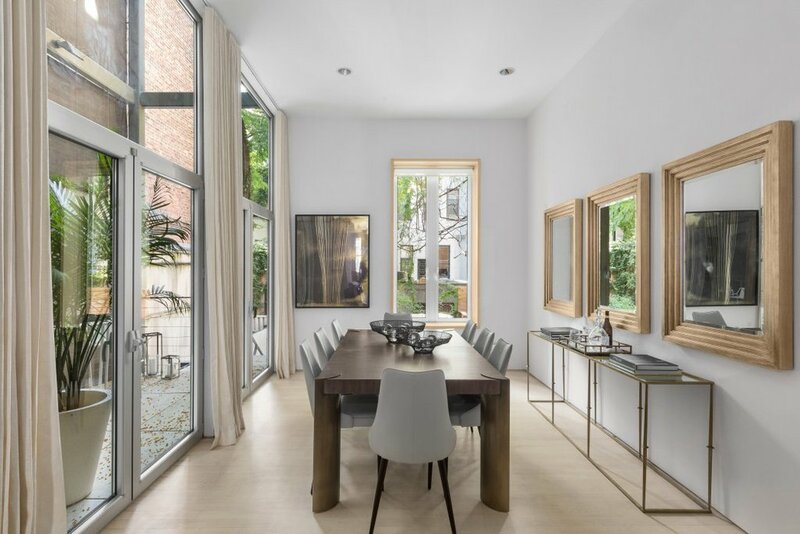 A state-of-the-art open chefs kitchen leads you to an elegant living room adjacent to a luxurious dining room with a terrace overlooking the private garden, perfect for entertaining and to enjoy a drink during dinner. 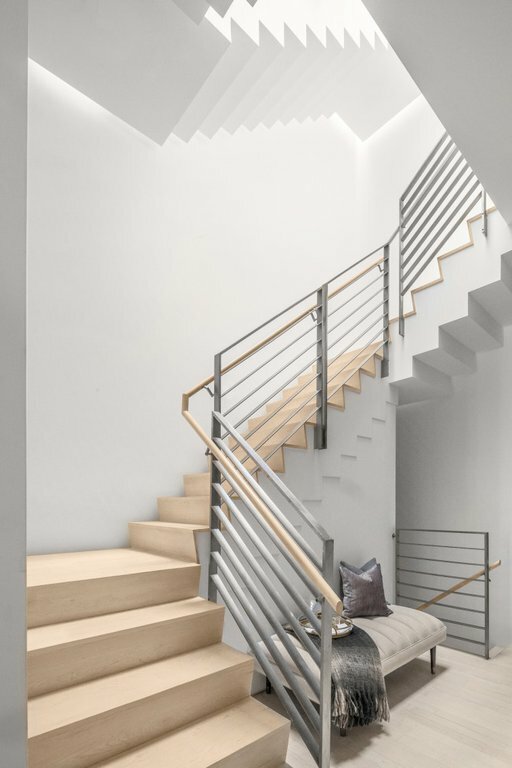 THIRD FLOOR: Led up by an architecturally stunning staircase, you arrive to the third floor which is a majestic scale divided between a grand master bedroom suite with two separate walk-in closets, and a luxurious en-suite bathroom filled with natural light. 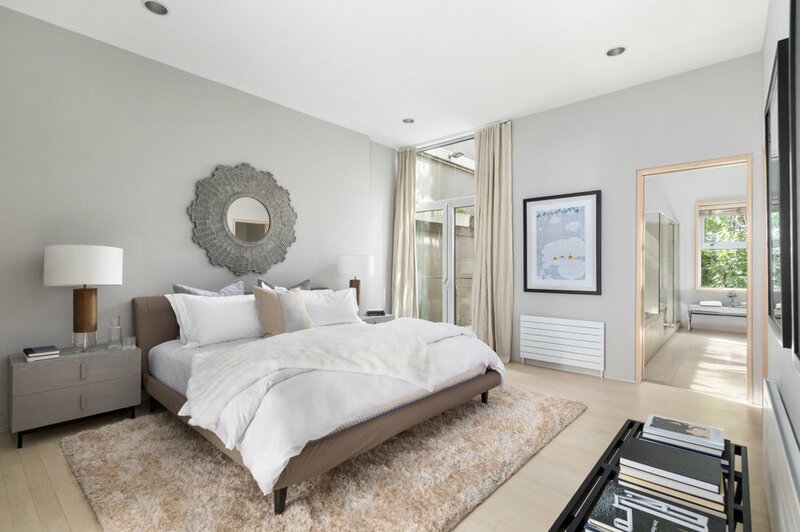 Opposite the master suite is a large second bedroom with an adjacent office and a full bathroom. 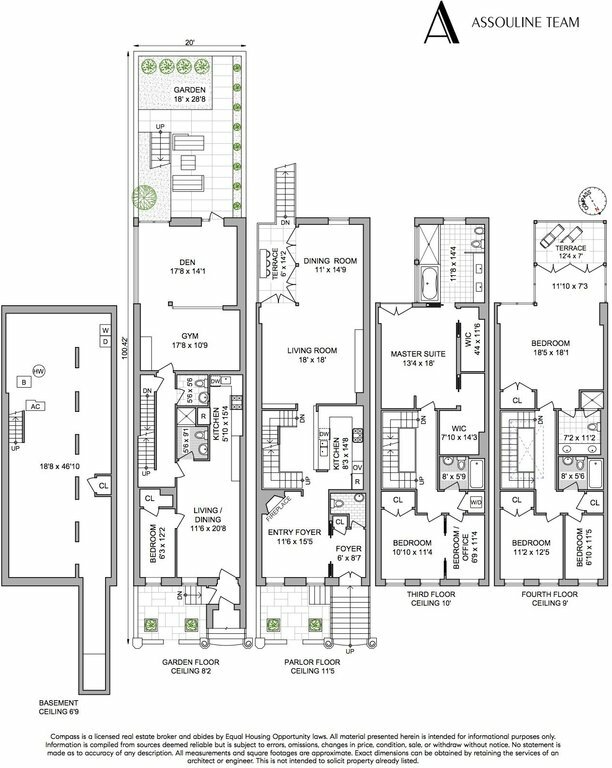 FOURTH FLOOR: The heart of the home lies at the top with a grand family room with a large terrace. Currently staged as a media and entertainment area, but can also be a very large bedroom with en suite bath with double sink. 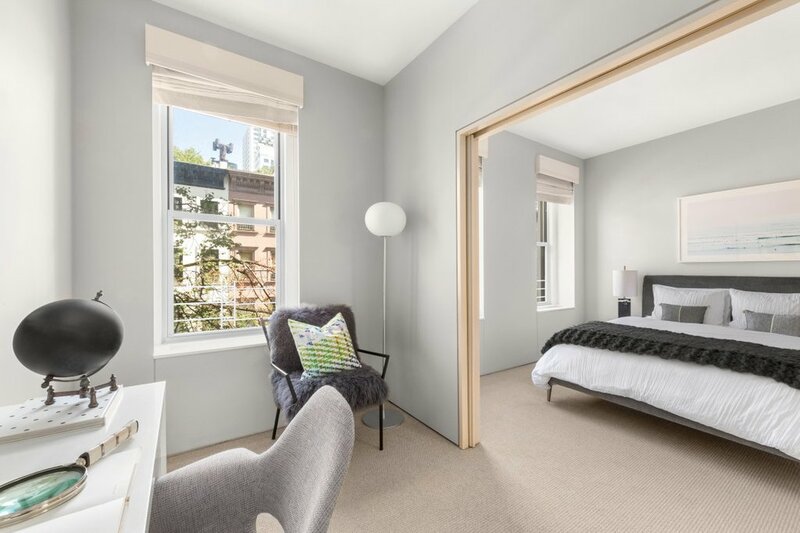 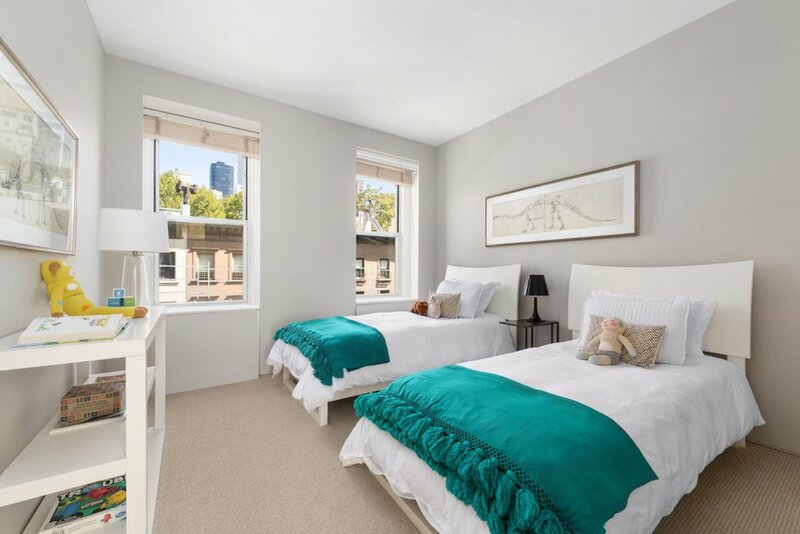 Opposite of the floor are 2 lovely bedrooms overlooking 61st street, with a full bath to service the two rooms. 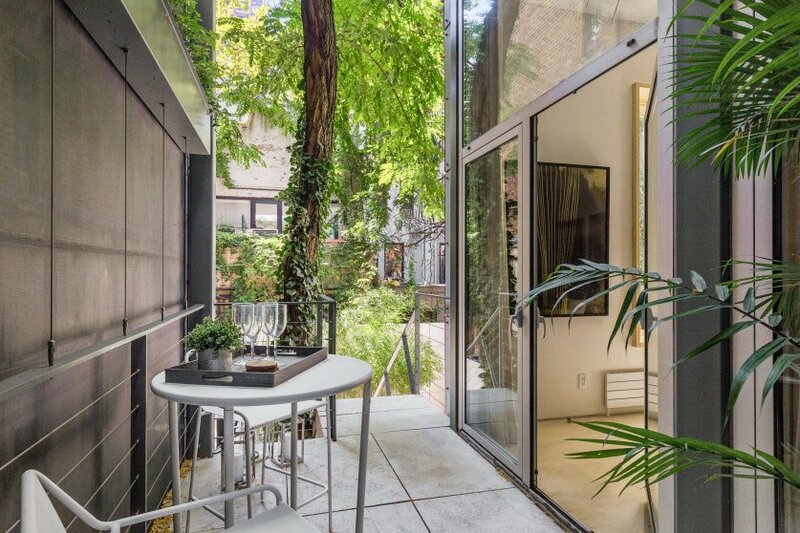 GARDEN LEVEL: This level includes a one-bedroom suite with a separate entrance, a fully equipped kitchen and full bath perfect for staff in the front. 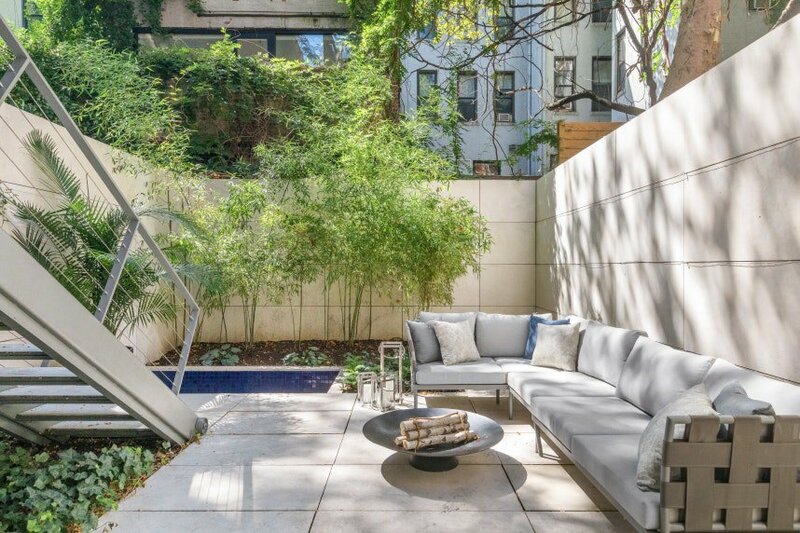 Towards the back, the home has a gym and media room which opens to a private garden with a fire pit. 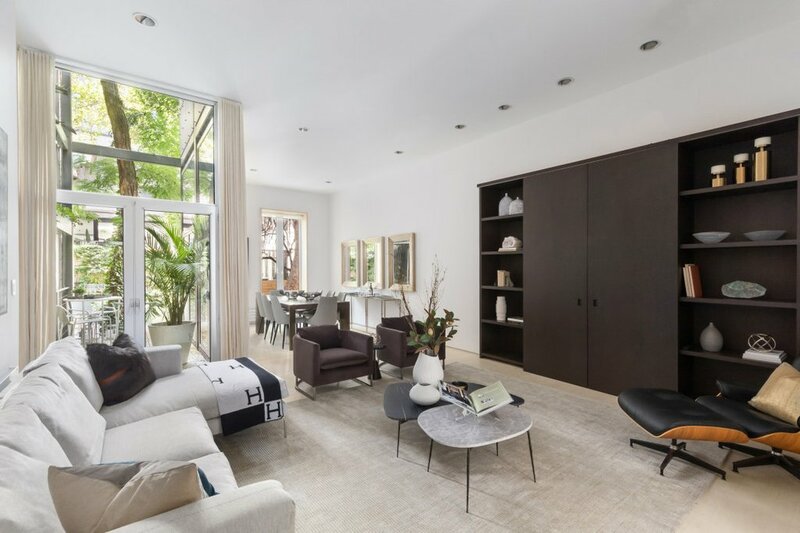 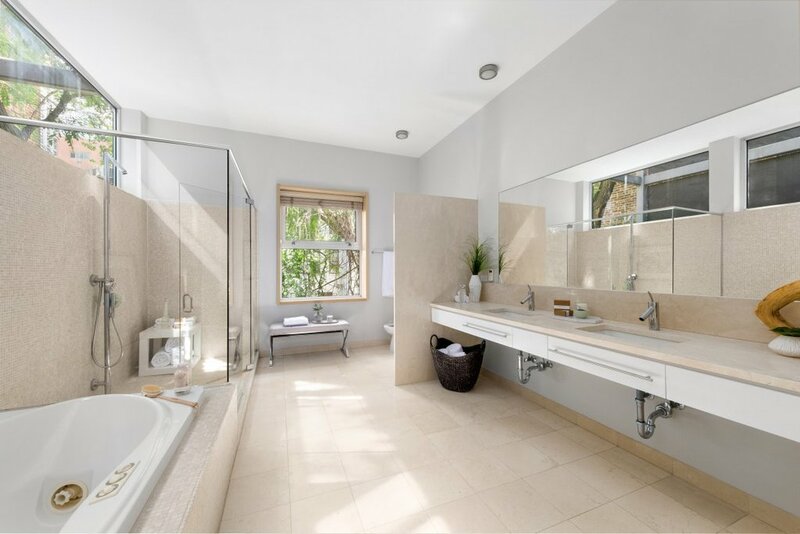 All areas of the garden level can be accessed within the home and the one bedroom in the front can be separated via a locked door to the areas in the back. 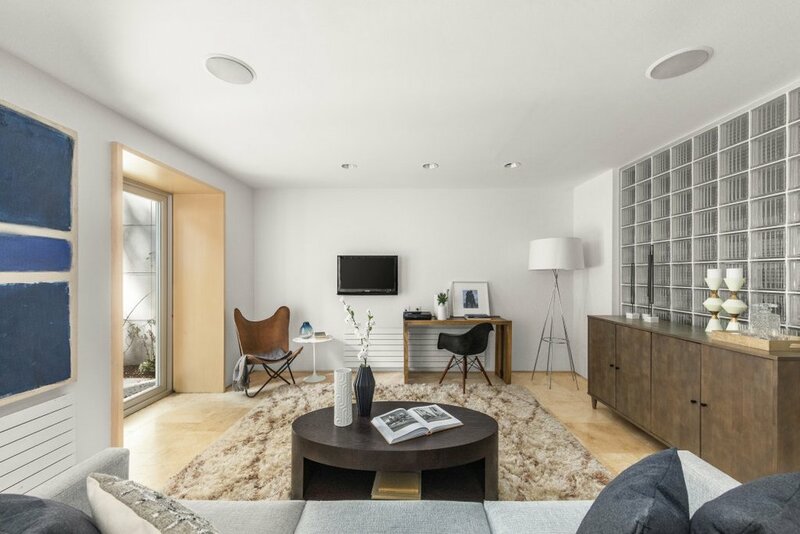 BASEMENT: Clean and dry with washer and dryers. 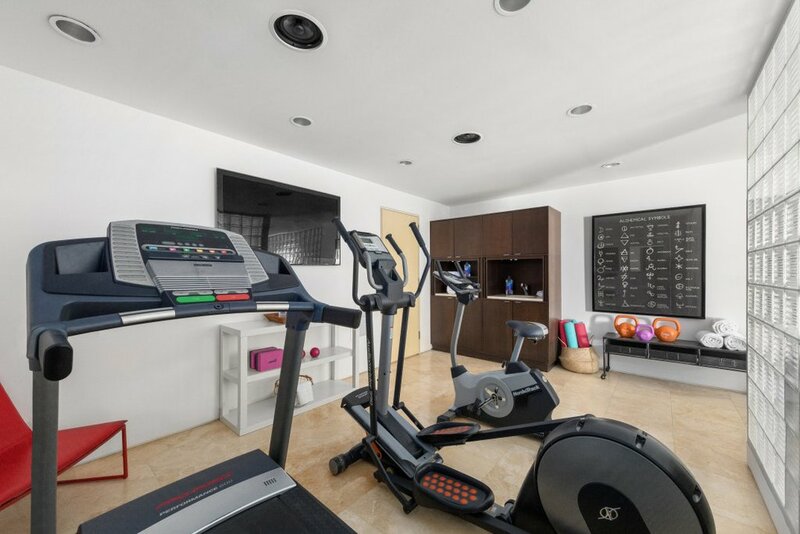 Mechanicals are top line with central air conditioning and sound system by Control4. 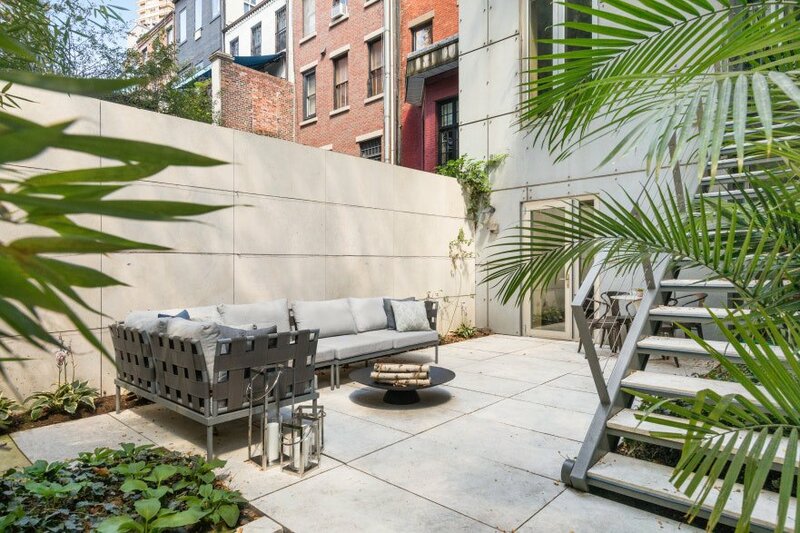 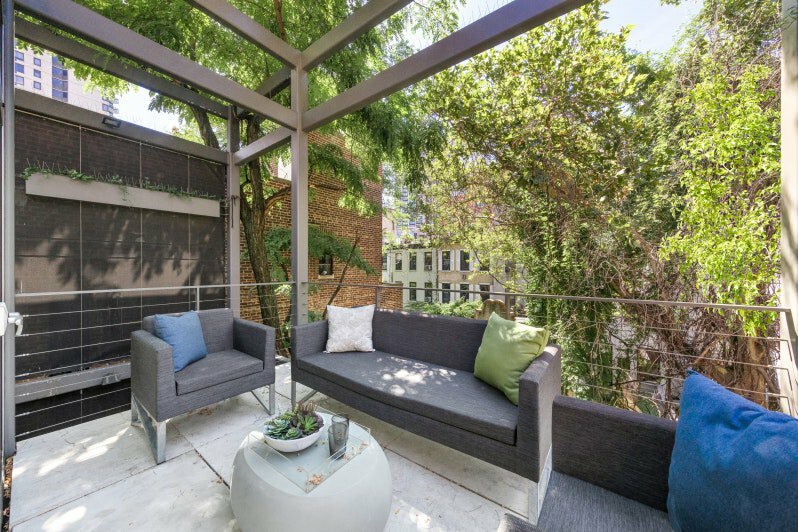 Located on a quiet block, this home feels like true paradise in the middle of Manhattan.